Thirwat Salah Shehata, a senior Islamist close to Al-Qaeda chief Ayman al-Zawahiri, arrested in a Cairo suburb. Egyptian police have arrested a senior Islamist close to Al-Qaeda chief Ayman al-Zawahiri, security officials said on Monday, according to the AFP news agency. Thirwat Salah Shehata was arrested in a Cairo suburb, the sources said, adding he had been sentenced to death in absentia in the 1990s for an attempted assassination of a minister. Shehata is believed to have been a deputy to Zawahiri when he ran the Egyptian Islamic Jihad before joining forces with former Al-Qaeda chief Osama bin Laden, killed by U.S. special forces in 2011. Shehata was reportedly detained in Iran following the U.S.-led invasion of Afghanistan after the September 11 attacks in 2001, which routed Al-Qaeda and forced its leaders into hiding. 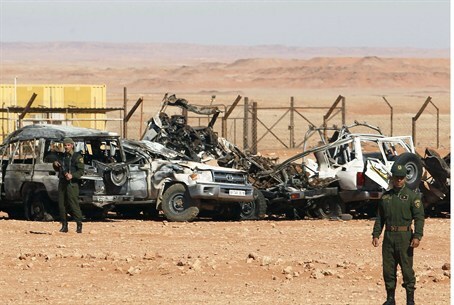 The Egyptian officials said he had been in Libya and then Turkey before returning to his homeland, according to AFP. The arrest comes just one day after it was announced that Zawahiri’s brother will stand trial with 67 others for forming a "terrorist group" and plotting attacks after Islamist president Mohammed Morsi's ouster. Mohammed al-Zawahiri was arrested last August, a month after Morsi's ouster by the army, and has been called to go on trial by the state prosecutor. Zawahiri and the other suspects are accused of having set up an "Al-Qaeda-linked terrorist group" that plotted attacks against government installations, security personnel and members of Egypt's Christian minority, state news agency MENA said. Since Morsi's ouster, there have been frequent terrorist attacks in Egypt, which the military-backed regime has blamed on the Muslim Brotherhood, insisting there is a connection between the Brotherhood and Ansar Bayt Al-Maqdis, which has claimed responsibility for the majority of the attacks. The Muslim Brotherhood has been outlawed and has been designated as a terrorist organization by the army-led government. More than 1,400 people have died in street clashes since Morsi’s ouster and thousands have been imprisoned. Hundreds of Islamists have been placed on trial and some already given death sentences, a move which was criticized by the international community.